Looking to get a price that works for you on a great new Ford vehicle? Then now is the right time to connect with the team here at Seth Wadley Ford Of Perry. No matter which car jumps out to you, you can rest easy understanding that the ideal Ford is waiting for you at Seth Wadley Ford Of Perry. What makes this undertaking even better? Receiving an estimate from Seth Wadley Ford Of Perry not only ensures that you have the chance to take advantage of pricing that is second to none, it is also the ideal way to avoid unneeded phone conversations, long-winded sales spiels, and other hoops that less dependable dealerships force you to jump through before offering up the meat and potatoes of this process. If this dealership experience is more in tune with what you want out of your hunt for the Ford automobile that is right for you, then take a moment to join us as we offer up a little bit of extra insight into how we formulate quotes. Once you have done this, you will have everything you need to move forward with clarity and get going on the way toward the most effective car, truck, or sport utility vehicle (SUV) for your regular routine. What Goes Into a New Vehicle Price Quote from Seth Wadley Ford Of Perry? Cutting out the Manipulative Sales Tactics – While other dealers might use a new automobile quote request to run you through a string of slimy sales pitches and other aggressive tactics aimed at pushing you toward a quick acquisition, the Seth Wadley Ford Of Perry staff would rather place an emphasis on a stress-free approach that comes with no commitments or strings attached on your end of the equation. Prepared with Your Needs at the Forefront – No two clients are alike in terms of car buying needs and budget, so the staff here at Seth Wadley Ford Of Perry accumulates as much information as possible when creating an individualized estimate to ensure that this offer conforms correctly to your specific needs and concerns. 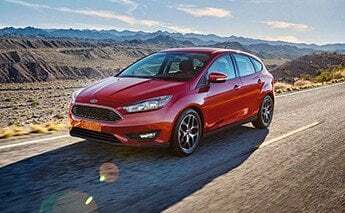 Financing Options Compiled by Qualified Ford Experts – Only experienced Ford finance experts that have years of expertise and training are allowed to handle the actual process of making an individualized new automobile quote for you. Privacy That Will Never Be Compromised – After filling out the new car quote form offered up on this page, you can rest easy knowing that your sensitive data is handled with the attention, consideration, and privacy required to guarantee that you will never be put into a compromising position in the digital landscape. After going over all of these facts, one thing should be amply apparent: Seth Wadley Ford Of Perry is ready and willing to do whatever is required to ensure that it always has the most trustworthy, budget-conscious, and customer-friendly new automobile estimate procedure in the automotive marketplace. As extraordinary as offering up the finest possible new car estimate for each client is, the team here at Seth Wadley Ford Of Perry also refuses to stand by complacently if you find a more enticing offer. Unlikely though this occurrence might be considering how dedicated the Seth Wadley Ford Of Perry team is to giving you the best price quote possible, there are some times when such an abnormal occurrence might pop up. If you believe that you have uncovered an offer that goes beyond our estimate on the vehicle that stands out to you, do not hesitate to bring it to the Seth Wadley Ford Of Perry team's attention as soon as possible so that we can get to work on correcting this issue. Once we are aware of this problem, the staff of reliable automotive specialists found here at Seth Wadley Ford Of Perry will do everything in their power to not just meet this pricing, but also provide you with an estimate that drives even more value to your end of the equation. The best part about our promise to customers? This ironclad dedication to your satisfaction applies to any and all automobiles found within our inventory, so you can search with confidence knowing that the best possible estimate for you will always be found here at Seth Wadley Ford Of Perry. Naturally, taking this customer-centric approach to new car price quotes is far from the industry norm. However, when it comes to your satisfaction and providing potential car buyers with the best deal possible, nothing but the best is good enough for people who bring their business through our front doors. Can Seth Wadley Ford Of Perry Supply Me with a Wonderful Quote on the Ford Automobile of My Dreams? Now that you are all caught up with all of the things that go into the new automobile quote process here at Seth Wadley Ford Of Perry, there is truly only one item left to discuss: How you can take advantage of the rewards that come with obtaining a new car estimate from the expert Ford team here at Seth Wadley Ford Of Perry. To obtain your quote from Seth Wadley Ford Of Perry, simply take a few seconds out of your day to complete the form made available on this page. Once we accept your information, a member of our experienced Ford team will get to work on crafting a quote that more than suits your individual considerations. As always, thank you for stopping by the Seth Wadley Ford Of Perry website. Should you have any other concerns, go ahead and reach out to our trained team via (580) 307-3432 or stop by in-person to learn a little more about why so many of the people in the Perry area are driving right pass the competition and coming to us for their new automobile buying needs.